to highlight this moment on a layout. and then used bright yellow embossing powder on the rest of it. The circle from the "6" Circle Revolution Frames set"
was perfect to highlight my photo. I also inked that blue. I used a frame from the "Polaroid Assortment" as an additional layer. 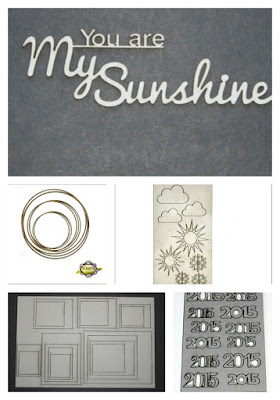 This frame was treated with white embossing powder to give it a glossy white finish. in the "Mini Weather Icons." The clouds came from that set too. is perfect for adding a little something extra like the puffy sticker I used. along with some enamel dots for added interest. 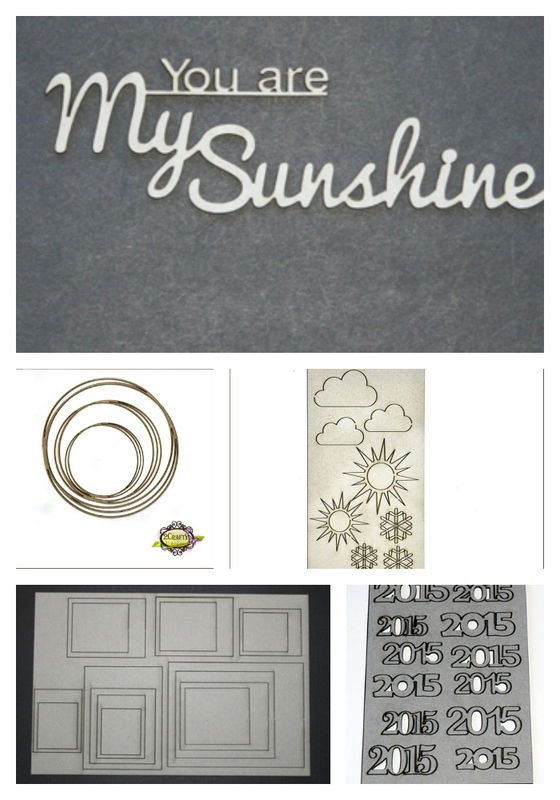 and coated with the same white embossing powder. This is my step dad who passed away last year. I've been making a album for my mom, and this is a cherished memory. Ed loved picking out the perfect greeting card, and he'd read every card in the shop in search of the perfect one. Although I don't have a picture of that specific memory, I did have this set of photos of Ed reading a birthday card I gave him. He cherished the cards people chose for him too! 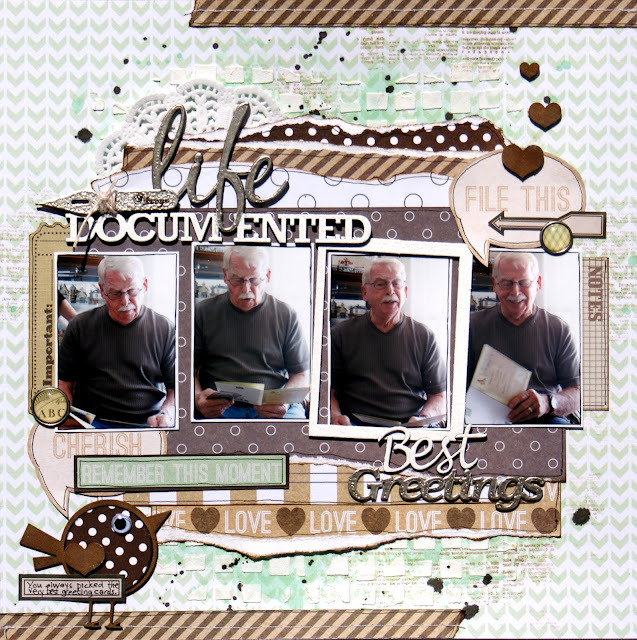 I used two different embossing powders on the "Life Documented" title. and stamped my embossing ink on the "life" part. and then embossed "life" with Ranger platinum embossing powder. and used a paint brush for the parts that got close to the overlapping "f."
was also coated with the platinum embossing powder. and tied some twine around it for added texture. I originally wanted to title my page "You always gave the best greetings,"
but I just couldn't make it work. However, the idea of "best greetings"
was important to my page, so I used it as a subtitle. The word "Best" came from the "Mixed Sentiment Card Words,"
and the word "Greetings" came from the "Xmas Mini Word Pack." 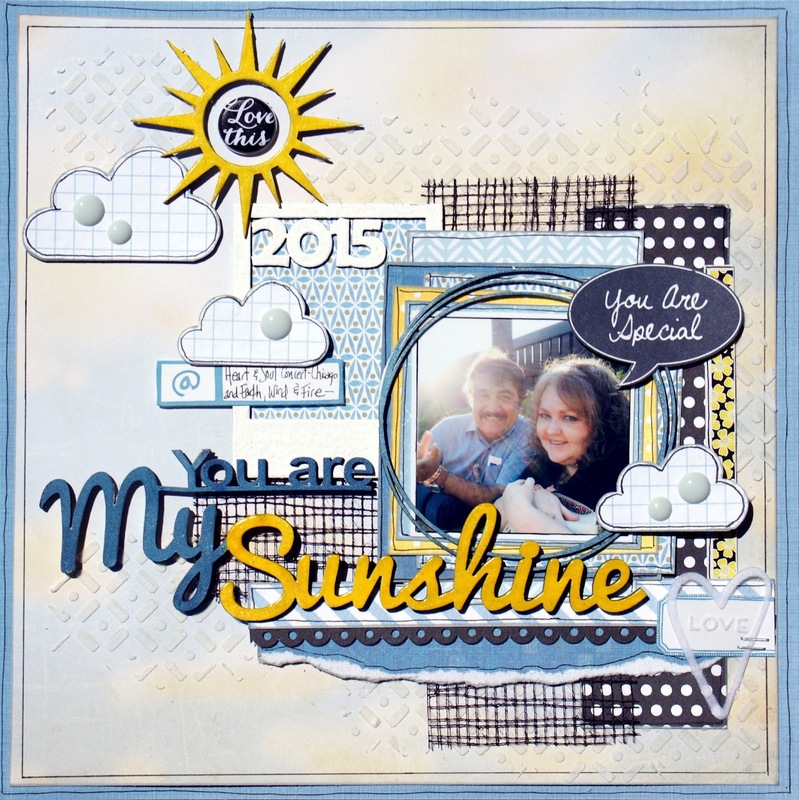 I used the same embossing powders that I used on my main title. 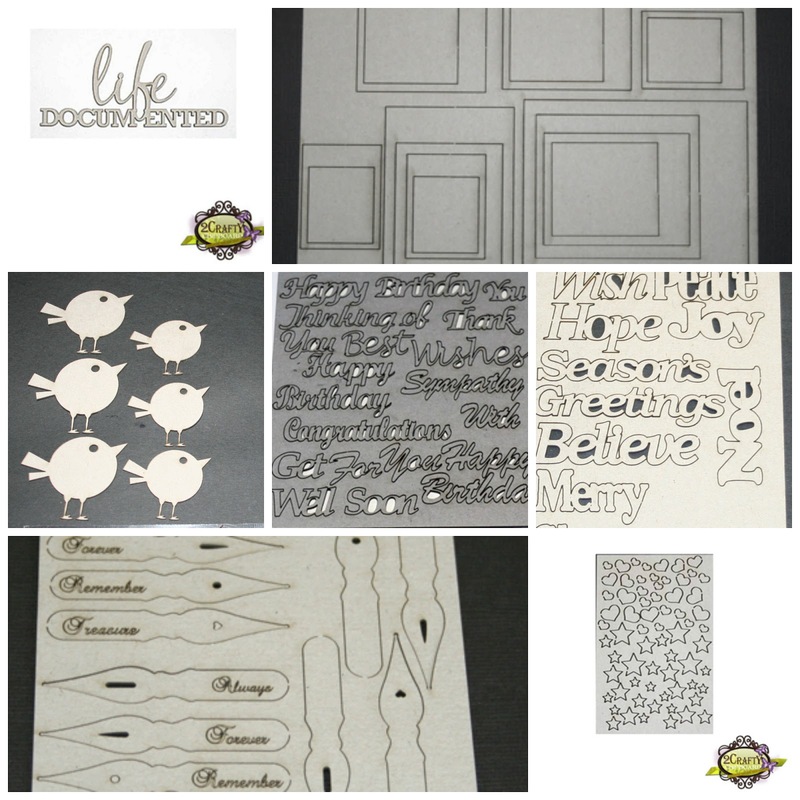 Don't throw away the backing sheet of your 2Crafty Chipboard. The frame I used was a piece leftover from the "Polaroid Assortment Frames" sheet. and was perfect for holding my journaling label. I coated him with brown ink and then added a punched circle of patterned paper on top. from the "ATC Tiny Hearts & Stars" as a wing. A googly eye gave this funky little bird an added touch of whimsy. 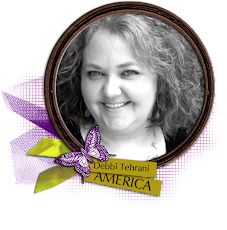 Awesome projects Debbi! I looooooove the little bird, wow!!! Debbi these are fabulous! You are so good at layering!!! Oooh love them both. Such amazing details & as always such great use of all the various chippie pieces. I just love all your layouts!! Fantastic LO's I'm glad to see some LO's that aren't all about mixed media too.